RainMax tyres from Uniroyal offer great stability and grip in wet and dry conditions to make every journey more enjoyable and safer for you and passengers. These options balance their wet and dry performances well, making it a popular choice for drivers everywhere who can encounter various situations and conditions without much warning. 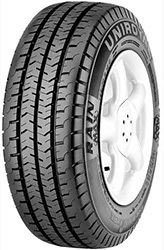 Great mileage and reliability further increase the value of Uniroyal’s RainMax tyres.